Ken is available for person mentoring sessions to help you grow photographically, as well as help you with workflow and the design of your business. 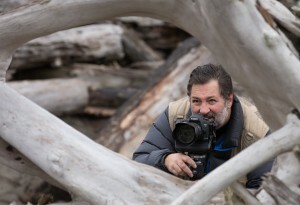 Ken has been a leader in the industry, passionate professional photographer for over 39 years. He has been a continual participant in photographic print competitions on a regular basis for most all of those years, accomplishing Photographer of the Year 32 times. 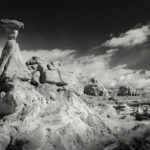 Ken’s imagery has garnered him many international awards, such as the Kodak Gallery Award Elite First Place. This award, for the best entry overall, was bestowed upon Ken for one of his wedding albums, representing the first album of any kind to win this award in the history of the Kodak Gallery Awards! Ken has found a way to re-invent himself each year, staying fresh and motivated, continuing to grow photographically, never settling for mediocrity, nor resting on his laurels. Please contact Ken to see about how he can help you accomplish your dreams in becoming a more versatile photographer. Ken is happy is discuss your needs with you and looks to help you structure a curriculum that will personally benefit your exact desires. Whether working with him periodically or in long term growth, you can design time with Ken over the web or meet with him in person. Please contact Ken to discuss the details of how he can help you move toward improving your craft. Mentoring sessions can be live and in person or digitally working with programs like Skype! Interested in private training? contact Ken for more details. Ken Sklute has been honored as one of Canon’s Explorers of Light, a designation shared by only 60 top photographers worldwide. 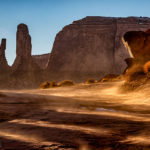 Ken has enjoyed a diverse career photographing landscapes, professional sports, and people. Visiting Bluff and Monument Valley in the Wintertime!